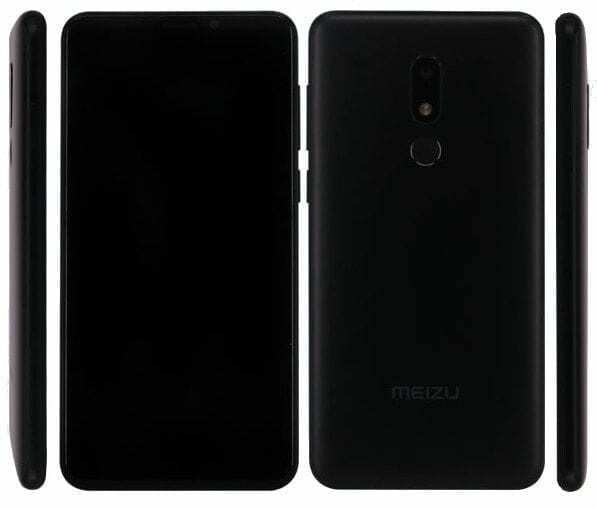 Meizu M8 Lite has now been announced in the month of November 2018. It comes as an affordable smartphone that Meizu fans await in anticipation. One reason is that the device has ample RAM space and it is also coming with display features that they will appreciate. Since the phone has been announced in the month of November 2018, we expect it to enter the smartphone market by December. Probably, the company will release Meizu M8 Lite as a Christmas gift for its fans. For now, we have the full features of the smartphone and would love to review them below. Design material prevalent in the smartphone is polycarbonate by nature. Dimensions are 148.1 x 73 x 8.4 mm and it weighs 145 grams. It comes in black and white colors. This is not a water resistant device but it has fingerprint sensor and face recognition technology. Display type is IPS LCD capacitive multi-touch screen with no secondary display. The screen size is 5.7 inches. Furthermore, pixel density is 282 ppi, pixel resolution is 1440 x 720. Other good features are 18:9 aspect ratio, 2.5D curved glass, 450nits brightness, etc. The primary rear camera consists of 13 MP f/2.2 aperture of 5P lens. It arrives with dual LED flash. To the front, there is a selfie camera of 5 MP f/1.9 aperture, and 4P lens. There is also front flash for the selfie camera. The video performance is 1080p@30fps. Other camera features are geotagging, auto focus, HDR, touch focus, face beauty, and low light mode. Android OS v8.1 Oreo runs supreme in the device. It operates on Flyme UI user interface. For chipset, there is MediaTek MT6739 working on 64-bit architecture. The CPU is 1.3 GHz Quad-core Cortex A53, and the GPU is PowerVR GE8100. Inside the Meizu M8 Lite there is 3GB of RAM that cannot be expanded. However, the internal storage is 32GB which can be increased to 128GB through the use of a micro-SD card. Sensors in the device are accelerometer, proximity, light, fingerprint, and compass. The Meizu M8 Lite is a 4G smartphone. It means that it can handle 2G, 3, and 4G internet network connections. Therefore, GSM, HSPA, and LTE are the supported networks in the device. There are also 2 nano SIM card slots to make these operate better. Other connectivity components are Bluetooth v4.2, Wi-Fi, GPS, AGPS, headphone jack, and microUSB 2.0. However, there are no infrared, NFC, or HDMI technology in the device. Powering the device is a Li-Po 3200 mAh non-removable battery. This battery has no wireless charging of fast charging technology in-built. Further, we cannot specify the talk time and the standby time of Meizu M8 Lite. Meizu M8 Lite price is between $119.99 and $126.99. However, since the device has just been announced we can’t tell you if things will not change as soon as the device is released. We expect that Meizu M8 Lite will be available in the month of December 2018.